My parents, Alfred and Vivian Enchill, both immigrants from Ghana, started Elegant Stitches from the basement of our home in 1997. Within two years, they built a strong customer base locally to then purchase a storefront location on the corner of First and Fenn Street in Pittsfield, where the Howard Parking lots exist today. For the first three years, my parents ran the business side by side with embroidery as their only service. In the winter of 2000, the two of them introduced custom vinyl printing and in that same year hired their first employee, Uncle Kwame Oduru, “The Captain.” Together, the three of them brought the business to new heights. 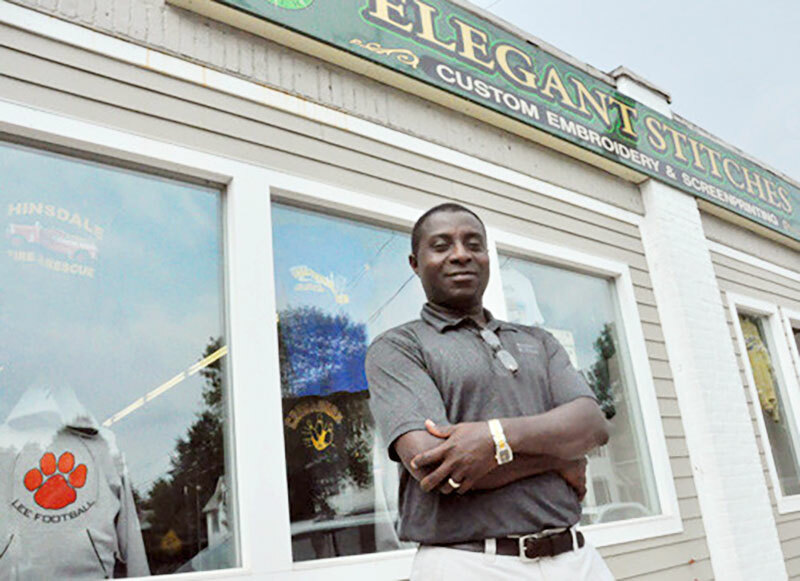 Through hard work and local support, Elegant Stitches was able to acquire new accounts and make a name for themselves as the go to spot for custom apparel in the Berkshires. After the Christmas of 2003, there was arson at the 146 First St. storefront and while most would have given up, we were able to reopen at a new location in 6 weeks with the backing of the Pittsfield community. By 2007, Elegant Stitches incorporated screen printing into our facilities, making us the first choice in the County for embroidery, screen printing, and vinyl heat press customization. Today, Elegant Stitches has over 20 years of experience under our belt, and we continue to serve community anchors such as Tanglewood, The Josh Billings Race and have worked with thousands of accounts throughout Western Massachusetts. With this credibility, Elegant Stitches has broadened its horizons to Tufts University, Brown University, and Wesleyan University as well as numerous institutions within New England. Now that we have shared our story with you, we hope you will visit us to share your story and project ideas with us!